Six public transportation providers from across the country were selected this week for the Shared-Use Mobility Center’s Mobility on Demand On-Ramp program, including Tompkins County's MaaS/integration proposal. The On-Ramp, part of a partnership with the Federal Transit Administration, provides an opportunity for transit agencies with promising MOD concepts to receive expert assistance to build those concepts into workable projects. The selected projects came from a pool of nearly 30 applicant agencies from across the US. 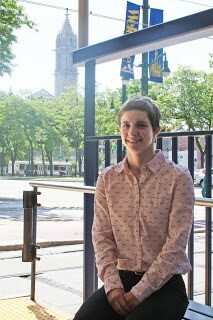 Nadine Chalmers has just joined the NFTA as a new Transportation Planner. She comes from the New York City Department of Transportation (NYCDOT) where she served in the role of project manager for bicycle and pedestrian safety projects, including integration with transit. Prior to working for NYCDOT, she was employed as an active living planner with Hennepin County in Minnesota, where she worked on station area planning and public engagement for their light rail expansion efforts in the Minneapolis area. She will have an active role in many of NFTA's current and future planning initiatives, including community outreach and the Citizens' Advisory Committee (CAC). Governor Cuomo recently announced a $150 billion infrastructure plan for the next five years. This historic investment in New York's capital assets builds on the Governor's existing $100 billion infrastructure initiative. Beginning in FY 2020, these capital projects will rebuild transportation and mass transit systems, construct safe and secure affordable housing, drive economic and community development, build new and better school buildings for 21st century learning, create new environmental and park facilities, support our sustainable energy future, and generate 675,000 new jobs and expand opportunity for all New Yorkers. The Federal Transit Administration (FTA) has announced the availability of $366.3 million for the fiscal year 2018 competitive capital grant program for buses and bus facilities (Section 5339 (b). Full details are included in the Notice of Funding Opportunity (NOFO) released by FTA. Applications must be submitted by August 6, 2018. By federal law, 10 percent of the total funding must be awarded to rural bus and facility needs. The program grew by 38 percent ($101.8 million) from FY 2017 to FY 2018, thanks to the FY 2018 Consolidated Appropriations Act. Today, ridesharing company Lyft announced a redesign of its app that is in the process of rolling out. The fresh look aims to improve shared rides, integrate with public transit to fill first-mile and last-mile gaps and simplify the Lyft experience by making price and time comparison more apparent. Lyft wants shared rides to account for 50 percent of trips through the app by the end of 2020, so part of the redesign includes making Line rides part of a new ride type called Lyft Shared rides. The app also will function seamlessly with local public transit in 25 US cities and counties, starting with Marin County and Santa Monica, California. Denver is finding out, as parcels near new light rail stations fill out with development. An estimated 29 percent of new housing in the region is within half a mile of rail stations, report Eleni Bardaka and John Hersey in a guest post for TransitCenter, but that doesn’t mean the people living in those homes are riding transit very much. Bardaka, an assistant professor at North Carolina State University, and Hersey, a TOD planner at the Denver Regional Transit District, surveyed more than 300 people who live within a 10-minute walk of Denver’s new light rail stations. Comparing residents of new market-rate housing to low-income households, they found wildly different travel habits. 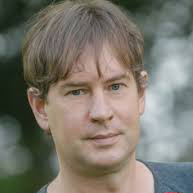 Award-winning author and globetrotting travel writer Taras Grescoe will present the opening session at the NYPTA Fall Conference on Wednesday, October 24. Grescoe will share stories from his book, Straphanger, taking us on a journey through some of the world’s greatest cities — from Paris to Tokyo, and via NY, LA, and Vancouver, to Bogotá and Moscow — to look at what they are doing right, and wrong, with their transport systems. In a time of generational change, when people are looking for alternatives to car-centric planning, Grescoe will present some of the most interesting transportation alternatives he’s encountered in his years of traveling and discuss how those ideas can be applied to American cities. It’s an inspiring glimpse of how convenient, affordable and sustainable transport can make the cities we love into more livable places.